Polyolefin Shrink Films are now the most sought Shrink Films in the Packaging Industry. These shrink films offer 80% shrinking properties (both directions) along with better transparency and remains odorless when heated and cooled. POF Shrink Films does not emit Chloride on heating, this is an important advantage over PVC Shrink Films. 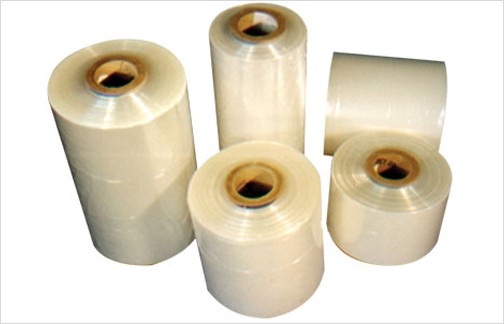 Centerfold POF Shrink Films are used for packaging various products. These films can be used across all industries as these films also comply food grade. Shrink Wrapped products using POF Films can be stored between -60°F till 90°F. POF Shrink Films will have less build up on sealer wires, thereby saving costs on replacement of the sealing wire & routine cleaning.